Professor Albert Jan van den Berg (1949, Amsterdam, The Netherlands) is a partner in Hanotiau & van den Berg (Brussels, Belgium). He is and has been sole, presiding and party-appointed arbitrator in numerous international arbitrations (ad hoc, AAA/ICDR, CRCICA, DIAC, DRCAFTA, ECT, ICC, ICSID, LCIA, NAFTA, NAI, OHADA, SCC, SIAC, and UNCITRAL), relating to, inter alia, airports, aviation, banking, broadcasting, construction, defense projects, distributorship, electricity and gas supply, fashion, futures and options, gambling, information technology, insurance and re-insurance, investments, joint ventures, licensing, media, mining, nuclear energy, oil and gas, pharmaceuticals, post M&A, post-privatization, professional associations, real estate, sales, satellites, shale gas, solar energy, sports, telecom, turnkey projects. Professor van den Berg also frequently acts as counsel in international commercial arbitration matters. Professor van den Berg is on many panels of arbitrators, including: American Arbitration Association (AAA), New York; Arbitral Centre of the Federal Economic Chamber, Vienna; Arbitral Tribunal for Football, World Cup Division for the 2002 FIFA World Cup, Geneva; Center for Arbitration and Mediation, Chamber of Commerce Brazil-Canada; China International Economic and Trade Arbitration Commission (CIETAC), Beijing; Hong Kong International Arbitration Centre (HKIAC); Hungarian Chamber of Commerce and Industry; Indonesian Board of National Arbitration (BANI), Jakarta; International Centre for the Settlement of Investment Disputes (ICSID), Washington; Kuala Lumpur Regional Centre for Arbitration (KLRCA); Netherlands Arbitration Institute (NAI); Singapore International Arbitration Centre (SIAC). He is an arbitrator on the Arbitral Tribunal concerning the Bank for International Settlements (Hague Treaty of 20 January 1930). Professor van den Berg was President of the International Council for Commercial Arbitration (ICCA). He is also former President and Secretary-General of the NAI and former Vice-President of the London Court of International Arbitration (LCIA). He is Professor Emeritus of Law (arbitration chair) at Erasmus University, Rotterdam and is currently a Visiting Professor at Georgetown University Law Center, Washington DC and at Tsinghua University Law School, Beijing and a member of the Faculty of the Geneva University Master of Laws in International Dispute Settlement (MIDS), Geneva. Professor van den Berg is Acting General Editor of the Yearbook: Commercial Arbitration. He is a member of the Editorial Board of the Global Arbitration Review, London; Tijdschrift voor Arbitrage, Rotterdam; and the Editorial Board of the Journal of World Investment & Trade.He has extensively published and lectured on international arbitration and has founded and maintains a website on the New York Convention on the Enforcement of Foreign Arbitral Awards (www.newyorkconvention.org). His legal education includes law degrees from the University of Amsterdam (1973), University of Aix-en-Provence (1974) and New York University (1975), as well as doctoral degrees from the University of Aix-en-Provence (1977) and Erasmus University, Rotterdam (1981). 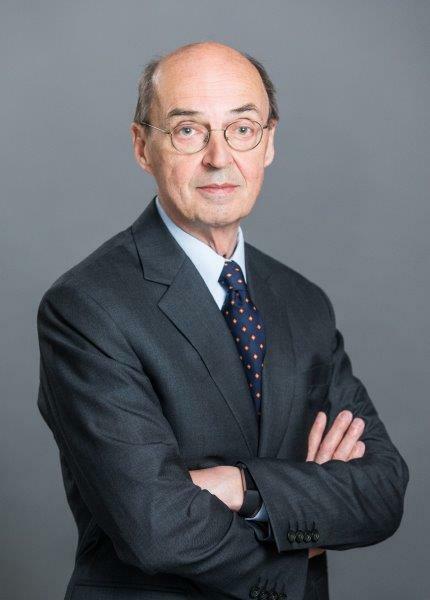 Professor van den Berg is a member of the CIETAC International Advisory Board; Commission on Arbitration and ADR of the International Chamber of Commerce (ICC), Paris; LCIA Company, London; ICCA; International Advisory Board of the HKIAC; Council, Australian Centre for International Commercial Arbitration (ACICA); Advisory Board of the Geneva University MIDS; Board of Trustees of the Institute of International Commercial Law of Pace University School of Law; and Executive Committee, Asian Academy of International Law (AAIL). Professor van den Berg was awarded “Arbitration Lawyer of the Year Award” by The International Who’s Who of Business Lawyers in 2006, 2011, and 2017, and “Best Prepared and Most Responsive Arbitrator” by the Global Arbitration Review in 2013.